I am so thrilled this morning to have on my blog, a young lady who although the lead character in C. S. Boyack’s first novel, also serves as his personal assistant and the spokes-model for his blog, Entertaining Stories. Ladies and gentlemen, meet Lisa Burton. Hi, Peggy. Thanks for having me over today. I love getting out in the Fall. It’s my pleasure, Lisa. I must say I’ve never chatted with a robot but you’re so, genuine. I’m here to talk about Craig’s book, Will O’ the Wisp. This one is about a teenage girl named Patty Hall. She has a mild handicap that requires her to wear corrective leg braces. Her first day of high school goes just about like you might think. She’s in love with all things related to space, and science fiction. One night, while stargazing, she and a friend spot something called a Will O’ the Wisp. Amazement turns into fear as it attacks a college student before their eyes. Patty jumps to the wrong conclusion, and wastes a lot of valuable time trying to find a science fiction explanation. It turns out to be part of an ancient curse that’s been targeting the Hall family for generations. Patty is next on the list, and if she doesn’t figure it out soon, she’s on her way to the Hall family cemetery plot. I love suspense and ancient curses! Craig really put this poor girl through the ringer. I didn’t think she could hold up, but she’s a main character worthy of the title. It isn’t bad enough dealing with the curse, she has normal issues too. She watches her friends start dating from the sidelines. She has to deal with an overbearing mother, but finds an ally in her stepfather. The whole story is set in the mid 1970s. Craig said he did this to avoid easy access to information. No cell phones and no internet equals more tension waiting for clues. If nothing else, I had a great time doing all the research into the era. Did you know there was a time when nobody had microwave ovens? There is a review out there that says, Will O’ the wisp is like The Wonder Years meets The Exorcist. Craig took great glee in that remark. I brought you a piece of art we’re using to promote the book. It’s me sitting at Patty Hall’s roll-top desk and staring at the Will O’ the Wisp. I love art and this cover is so mysterious and spooky! 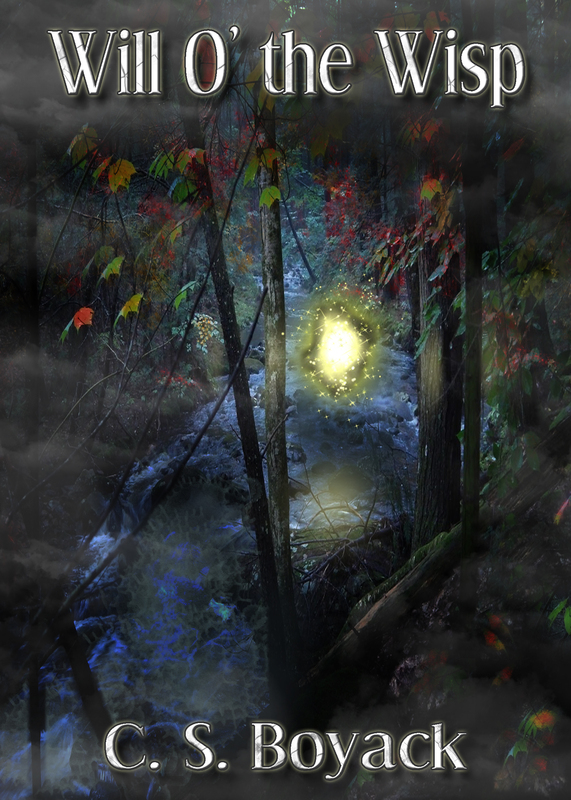 Thank you so much, Lisa, for bringing Will O’ the Wisp to my blog today. I love hosting other authors. I truly appreciate you coming on behalf of Craig. It’s been lovely speaking to you! Please give Craig all my best for much success! By the way, I love your outfit! Follow Craig and see what he’s up to!